I didn't start out to be a writer, I didn't know much about history, I thought I would always be a housewife, after all, that was what we females all aspired to become, growing up in Mormon Utah. 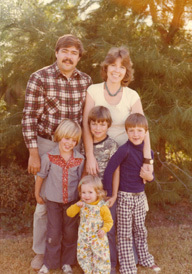 But happily, life had other plans (in addition to my wonderful husband John and 5 children), opportunities came my way, and led me into this blessed writing career. 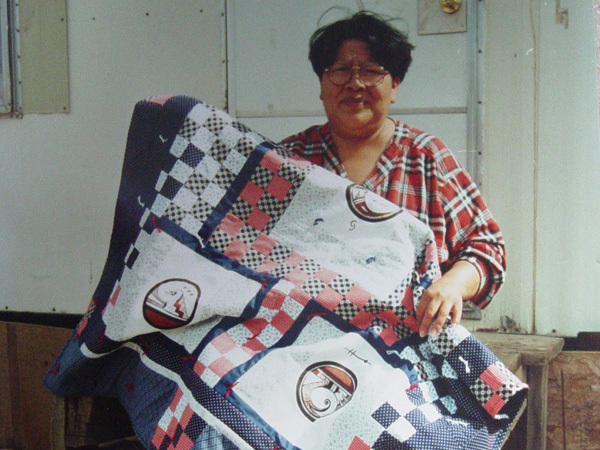 It started innocently with an interest in a remarkable quilt made by Dorinda Moody Slade, a Utah pioneer who settled in the high and remote Pine Valley in southwestern Utah. 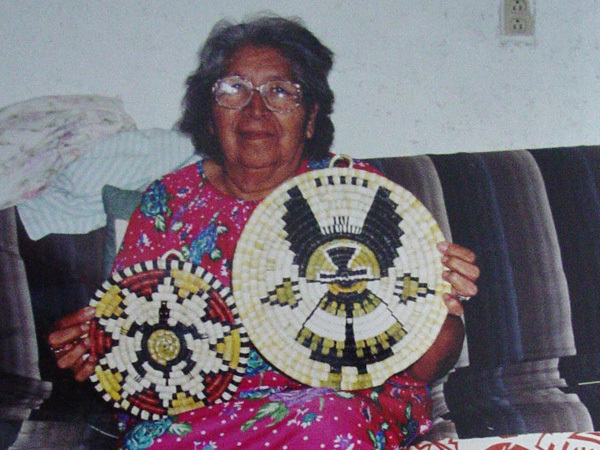 The result of many trips to meet her descendants (at that time I was too naïve to call them interviews), while dragging along my husband and various children, was Pioneer Quiltmaker and, later, A Quilt for the Promised Valley. 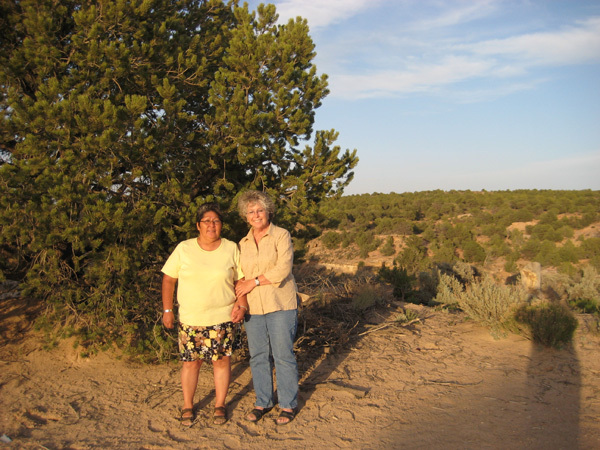 Along the way, I met scores of people who would never have come into my life — from archaeologists and Hopi quilters to Gila cowboys and Harvard scholars, artists and Indian traders. What a journey! On a Kansas trip in the late 1980s, there was a chance meeting with a woman who shared the boxes of diaries that were left behind in the house she bought at auction in the 1950s. Those diaries were written by a Kansas sodhouse homesteader, Ida Melugin, a quiet, unassuming woman who never traveled, never went further from her home than to church and weekly quilting bees. 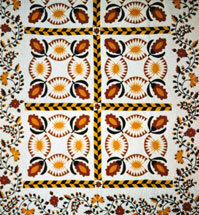 But Ida's quilts were marvelous, and the result was the book Quilted All Day. 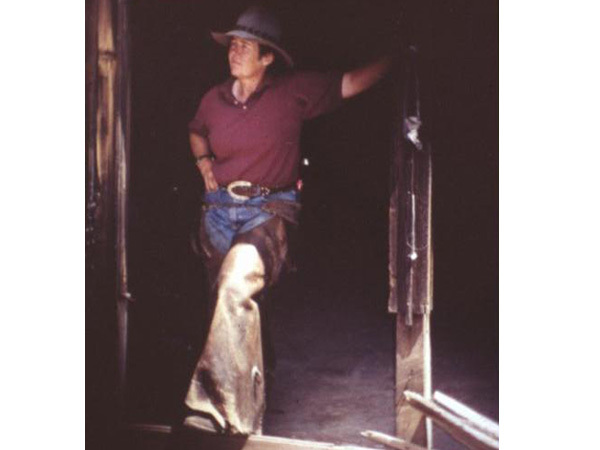 An archaeologist friend suggested that I write about a southwest New Mexico woman, Hattie Cosgrove, who lived in Silver City and eventually worked for the Peabody Museum at Harvard. 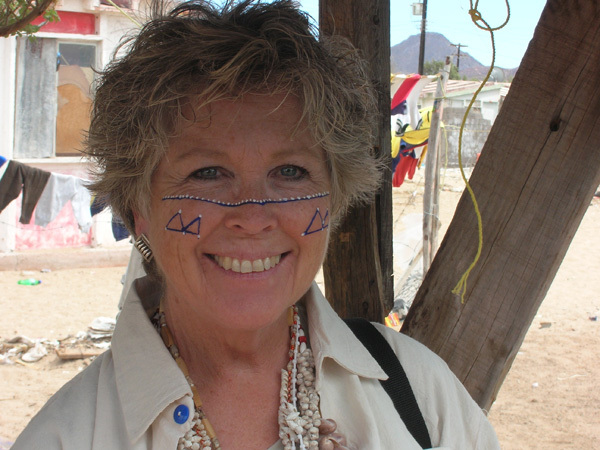 Hattie excavated Mimbres sites, explored caves — sometimes lowered from a cliff top by a cowboy who held the ropes — and finally worked as the ceramic specialist at Awatovi, an abandoned Hopi village in northeast Arizona. 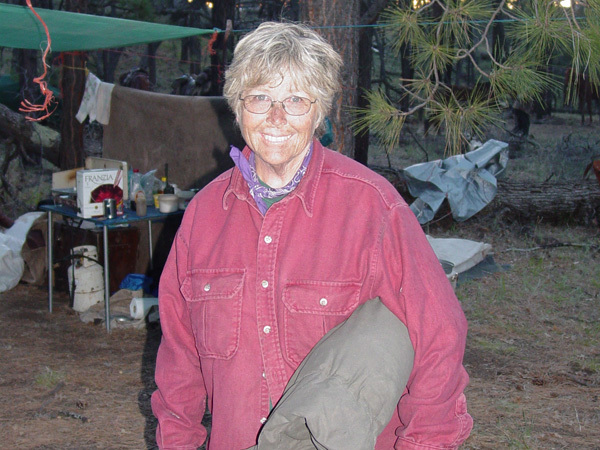 I hiked and backpacked in southwestern New Mexico and documented many of the places Hattie wrote about in her Swarts Ruin report for Harvard and her Caves of the Upper Gila, and then wrote Treasured Earth, recounting Hattie's adventures. Through all those trips into the Gila country, I heard tales of Nat Straw, a reclusive mountain man who trapped and hunted and prospected in the vast wilderness mountains. I interviewed an old dynamiter and cowboy who greeted me for a 9:00 AM interview with 2 water glasses-filled with straight whiskey. As he handed me a full glass he threatened that he hoped I was not one of "them god-damned teetotalers." After our interview, naturally, I needed help to get home. Another Nat Straw interview began with a shotgun pointed at my heart. It was not until I convinced the elderly lady I had come to talk with that I was not from the tax collector's office, that she lowered her gun. 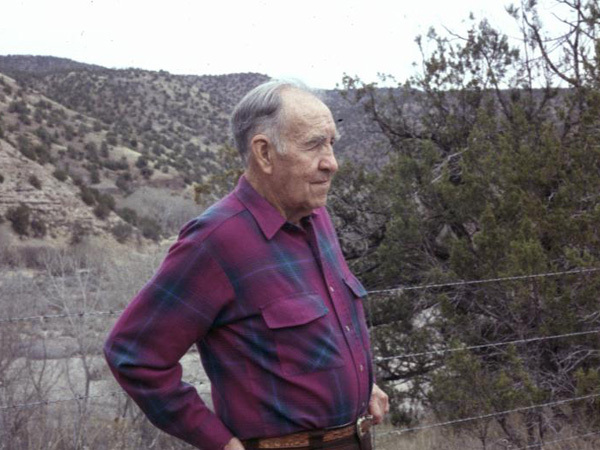 But it was Doc Campbell, famed cowboy and outfitter who first went to the Gila in 1929, who told me I could not even consider writing about his old friend Nat Straw without going deep into the wilderness to see the places where Nat camped, the cave shelters, and the long trails he walked. So with much trepidation, I signed up to tag along on an elk hunting trip with Doc's daughter Becky Campbell. 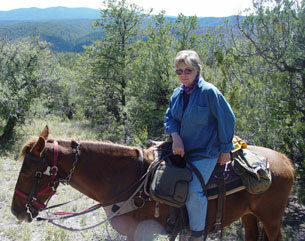 And that first trip was the start of dozens of trips into the Gila Wilderness with the best guide in the Southwest. Over the years I have been privileged to see much of the Gila Wilderness, from the Gila Cliff Dwellings to the top of Mogollon Baldy. Along the way, John pierced his hand with a tree branch, rolled his horse on a cliff edge, and was struck by lightning on a barren, rocky ridge — and, thankfully, survived all of those extreme adventures. Now he plays with his native flute made from a piece of lightning-struck Ponderosa Pine, a piece of wood that has been touched by the hand of God. 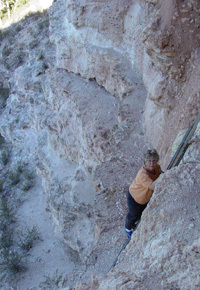 Other adventures involved being stranded on a ledge in a sleeting storm, being lost in the dark in a burned-out forest — all for the privilege of seeing miles of trails and grand vistas of some of the most beautiful country in the Southwest — and always going back for the ongoing search for the Lost Cliff Dwelling in the Inaccessible Canyon. 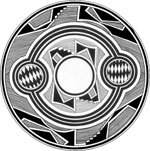 Working on the Hopi Indian Reservation gave me the privilege to meet many talented Hopi artists who invited me into their homes, and to attend the amazing kachina dances, and the touching dawn Baby Naming Ceremony. 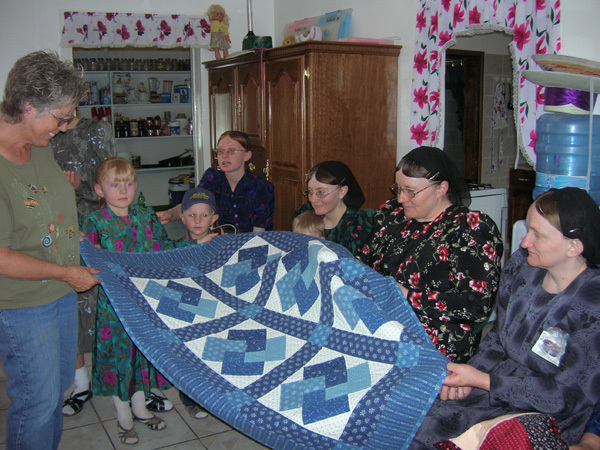 In Chihuahua, Mexico, I spent time with Mennonite quilters in their remote campos — with exciting stops by the Federales, and surviving a mountain roadblock with ski-masked men with H-K machine guns. It has all been exciting, a wonderful journey filled with amazing people and equally amazing adventures, and hopefully, along the way I did become a writer. But if you want to know the whole story, read the books, and if you want to hear about The French Kiss — come to one of my talks!